Do you have questions about: Canadian Family Law, Spousal Support, Child Custody and Access, Child Support, Or Property Divorce Laws? 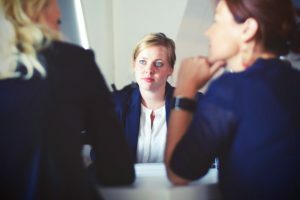 Questions, questions, and more questions, but no clear answers about Canadian family law is a common problem shared by people who are considering divorce. It’s easy to understand why. Divorce is complicated, from a personal AND a legal standpoint. When you separate in Canada, it’s important that you speak with a family law lawyer so you can protect yourself, know your rights, and determine whether you need legal help. During this stressful time, you need effective and compassionate guidance from an experienced professional. You need a professional who will listen to you, to your questions, to your concerns, to your goals. You need a professional who understands you and whom you can understand — a Canadian family law lawyer that speaks YOUR language…not legalese. I’d like to be that professional. We can discuss your personal situation in detail. I’ll answer your questions about Canadian family law, anything that has already happened, address any actions your spouse has taken, assess where you stand today, and offer suggestions about what you should do now to protect your rights. Divorce is a formalized process and in the Canadian court system, divorces follow a standard sequence. I’ll explain the “flow” of family law proceedings and determine whether this sequence may change based on your individual circumstances. EXPLAIN your options and recommend steps you should take. Understanding the options that are available is the first, critical step in determining which plan of action will bring you the results you desire in your Canadian family law case. It’s crucial that you identify the important steps you should take today to protect yourself, your children and your assets. Time is of the essence. If you delay and don’t take action, you leave yourself vulnerable to unexpected and costly problems. FOCUS your thinking clearly and calmly on the future. With answers to your questions, and an understanding of the divorce process, you’ll have a clear picture of what you need to do today — and in the days and weeks ahead. Instead of being worried about heading into “the unknown,” you’ll be confident that you can see the road ahead. This will help you reduce your stress and better cope with your current Canadian family law situation. DETERMINE whether you need a lawyer. You may be surprised to learn that not everyone needs to hire a family law lawyer. If that’s true in your case, I’ll be the first to tell you. On the other hand, many Canadian divorcing spouses don’t get a lawyer soon enough to protect their rights. Together, we’ll determine the most effective…and cost-effective…approach. If you have any follow-up questions about Canadian family law after the consultation is over, I am happy to answer them for you at no additional charge. This meeting is an educational service that will help you understand your situation and answer your questions about family law in Canada. You have no obligations beyond this meeting and need not hire me based on our time together. There is no obligation for this preliminary consultation, but there is a modest fee. A consultation normally lasts one to two hours.